Flexible storage solutions let you be creative with how and where you allocate storage areas. These steel cube lockers from Probe offer a great way to install small square lockers just about anywhere within your premises - a great option for a secure office box. Create locker columns using the pre-drilled holes and then stack lockers one on top of the other. Alternatively you could create high level storage by mounting them to a wall. One cube storage locker supplied in a choice of three sizes and several door colours. 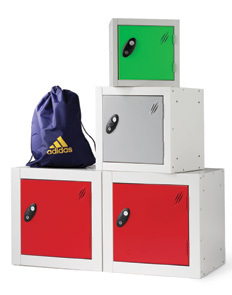 Each locker benefits from a strong, durable construction that is designed to last. 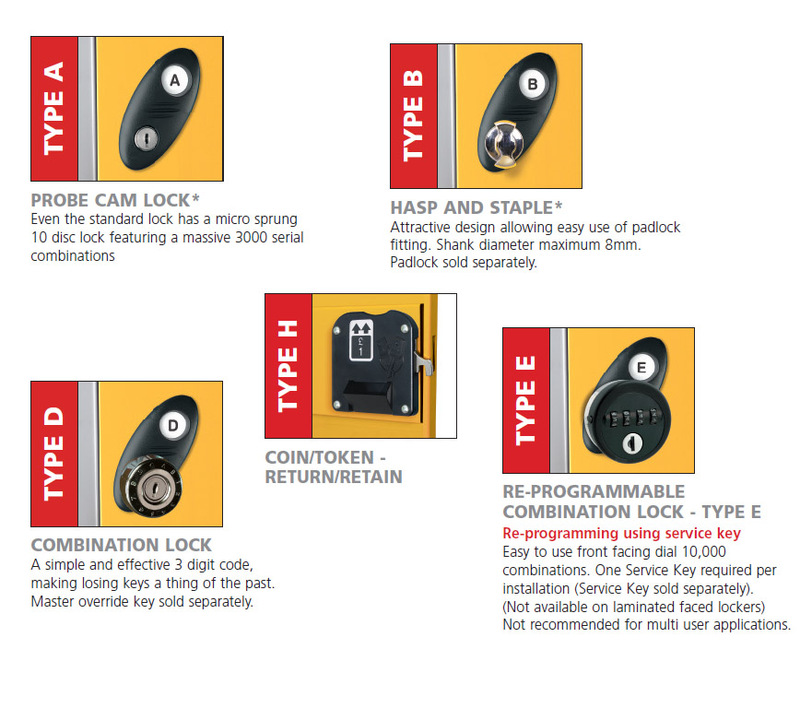 There are a number of lock options available, the most popular ones being the standard key cam lock and hasp & staple (for your own padlock) - both of these options are included in the standard locker price. Note: Fixings are not supplied.